What medicinal products are comprised by the "sunset clause"? 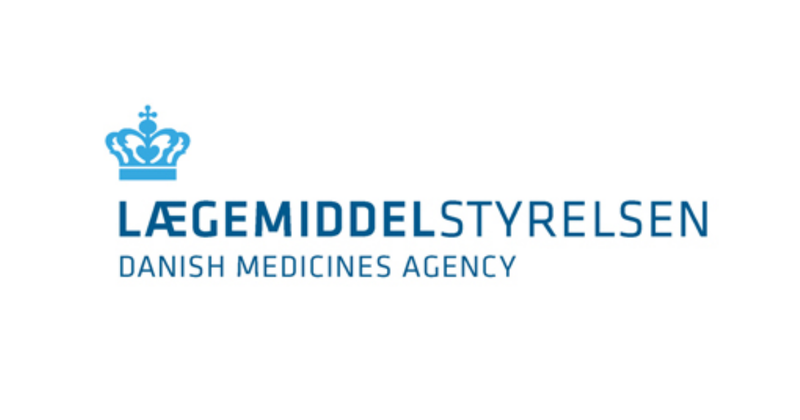 The Danish Medicines Act's rules on the "sunset clause" apply to all medicinal products for which the Danish Health and Medicines Authority has issued a marketing authorisation. Parallel imported medicinal products are not comprised. For medicinal products authorised according to the centralised procedure, the holder of the marketing authorisation must notify EMA of the date of actual marketing of the medicinal product in the Community with reference to the different pack sizes authorised. Section 22(2) of the Danish Medicines Act stipulates that notification s to Medicine Prices1 (Medicinpriser) are deemed to constitute notification pursuant to section 22(1). Instead of making a notification, cf. section 22(2) of the Danish Medicines Act, it is also possible to use the form "Notification about initiation or cessation of marketing of medicinal products", which is now available at the Danish Health and Medicines Authority's website (see box to the right). Please note that the form is to be used in relation to the "sunset clause" only. In other words, it cannot be used for notification of changes in prices, authorisation and withdrawal, etc . the holder of the marketing authorisation is in possession of at least one pack of the medicinal product which is in compliance with the Executive Order on Labelling, etc. of Medicinal Products. the holder of the marketing authorisation is in possession of at least one pack of the medicinal product prepared in compliance with the Executive Order on Labelling, etc. of Medicinal Products. Furthermore, if the basis for notification ceases to exist, the Danish Health and Medicines Authority should be informed thereof by means of the form. If the product concerned is a pharmacy only medicinal product, it is still assumed that neither delivery of nor advertising for the product take place without notification (including price) having been made to Medicine Prices (Medicinpriser) 14 days in advance. When several marketing authorisations constitute a global marketing authorisation (a family of medicinal products), and a notification is made about initiation of marketing for one of the products in the family, all of the products in the family are regarded as marketed under the "sunset clause". If notification has only taken place for one product in a product family, and the marketing of the product concerned subsequently ceases , a notification must be made for initiation of marketing for one of the other products in the family for them to be considered as marketed under the "sunset clause". It appears from section 107(3) of the Danish Medicines Act that with regard to medicinal products comprised by a marketing authorisation at the time of entry into force of the Act, the 3-year time limit stated in section 28 commences at the time of entry. The Danish Medicines Act entered into force on 17 December 2005, and hence the earliest date when a marketing authorisation can cease to be valid under the "sunset clause" is 17 December 2008. Note 1: Global marketing authorisation is a designation for an initial marketing authorisation with all subsequent strengths, pharmaceutical forms, administration routes , presentations , variations and extensions with the same name and active substance. See also Notice to Applicants, Volume 2A, chapter 1, section 2.3. The Danish Medicines Agency, 17 January 2008.